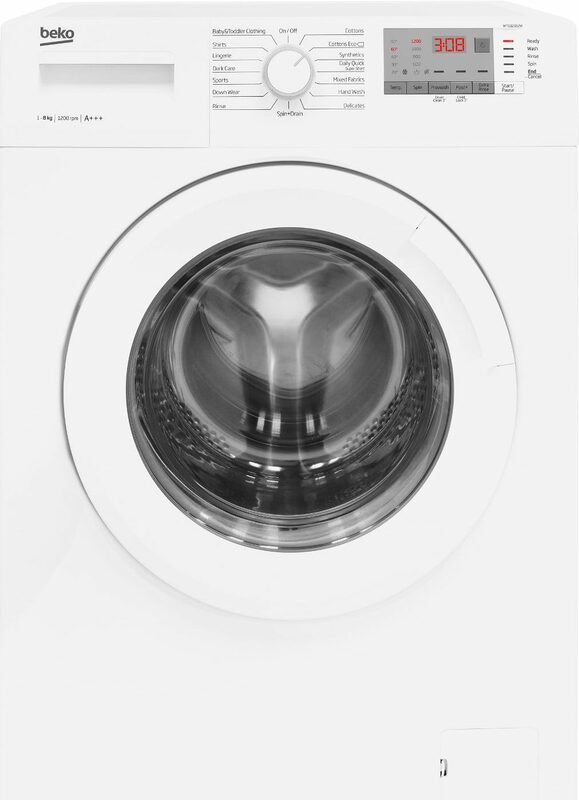 If your current machine isn’t running well and you’re looking to buy a new washing machine, we at Herne Bay Domestics have got a wide range of washing machines for you. We have cheap washing machines that will give you all the basic functions you need, as well as top of the range models that speed up your drying time with super-fast spin speeds & save you money on your energy bills with their energy efficient innovations. 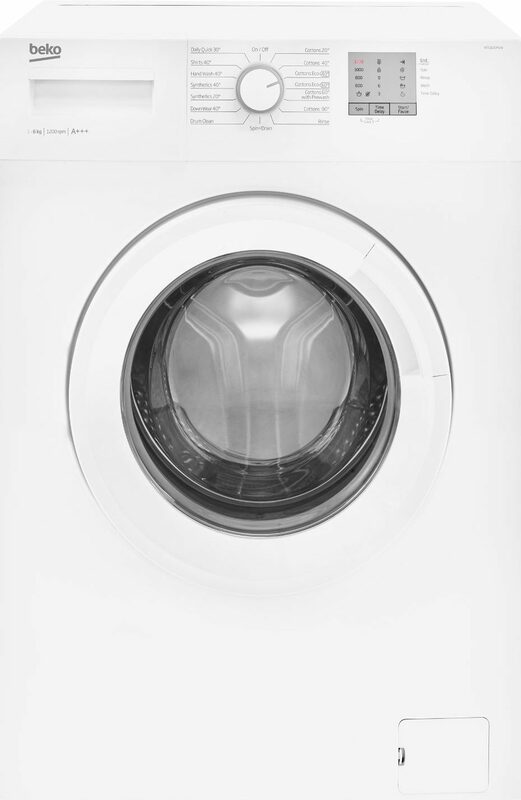 One of the most important factors you have to take into account when buying a new washing machine is “does it have the right sized drum?” because buying a washing machine that is too small will force you to perform multiple wash loads per week. This is bad economically, environmentally and it’s also bad for the machine too. On the other hand, buying a washing machine that is too large for your needs will likely result in you underloading the machine. Underloading isn’t particularly harmful for the machine itself, but it will use up more water and electricity than you would if you had a more suitably sized washing machine. 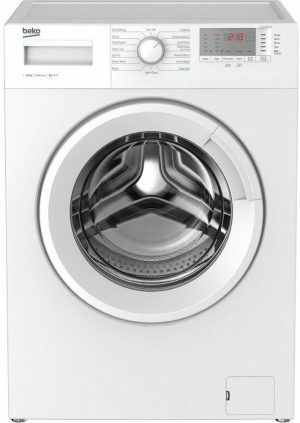 Choosing the right sized washing machine for you can be a difficult task, as every household is different. But as a rough guideline: small families should find a 7kg washing machine large enough to handle their washing requirements. Medium sized families should find an 8kg washing machine will suffice and a 9kg washing machine should suit the needs of most large sized families. Another consideration is what you need from the washing machine in terms of performance. You may be short of time and would benefit from the time saving programmes our washing machines have built in, or maybe having a washing machine that is quiet is important to you. Whatever your preference, Herne Bay Domestics has the best washing machine for you! What’s more is that if you have any questions or queries (what so ever!) you can always call us on: 01227 361536. 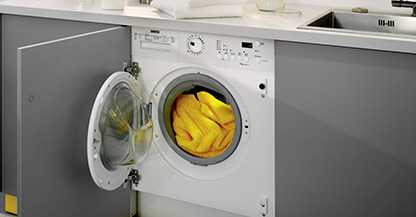 We are more than happy to help with advice and details on all the washing machines we offer. 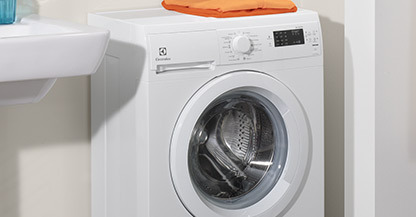 We make it easy to shop the latest range of washing machines at Herne Bay Domestics. Plus, we also offer a well renowned washing machine repairs service which can be arranged by calling the store now on: 01227 361536. We also offer free delivery on washing machines throughout our entire service area, including: Canterbury, Charing, Broadstairs, Littlebourne, Faversham, Sandwich, Thanet, Whitstable, Wingham, Birchington on Sea, Deal, Maidstone, Ramsgate, Sittingbourne, Dover & more! Plus, all of our washing machines for sale on this website are backed by our price match promise, which guarantees you always get the best price when you shop at Herne Bay Domestics. Just another reason to buy Washing Machines from Herne Bay Domestics.